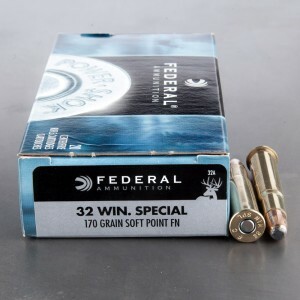 32 Special ammo is a very old round and well over 100-years of service have proved the ammo to be both reliable and powerful. 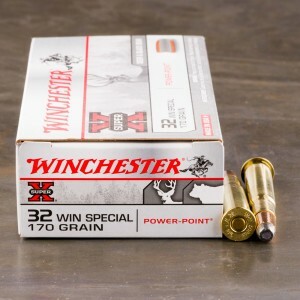 While many may automatically associate the 32 Special with a revolver cartridge, due in part to it’s “Special” moniker, and the prevalence of older 32 revolver rounds, this could not be farther from the truth. 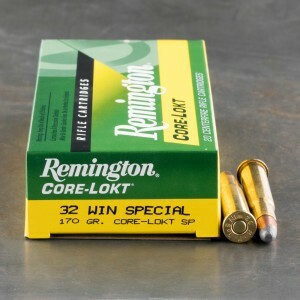 The 32 Special has much more in common with the classic 30 - 30 cartridge than the old 32 revolver rounds. In fact the 32 Special is essentially identical to the 30-30, but features a larger bullet diameter. 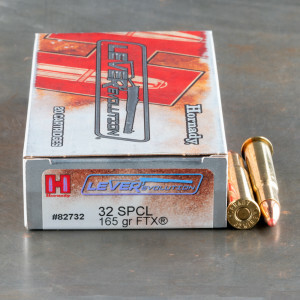 32 special ammo is capable of meeting the same performance standards of the 30-30, but with a larger bullet. The round was designed for lever guns, specifically the Winchester Model 94 rifle, and features a round tip design. For such an old round, designed in 1901, it featured impressive ballistics. A round nose, 165-grain bullet is capable of reaching over 2,400 feet per second. This weight and velocity transfers 2,100 foot-pounds of energy into its target. That’s quite impressive for a century plus old round.